As the pace of change in today’s business environment intensifies, keeping up with the latest compensation trends is more important than ever for securing the employees your company needs to be successful. 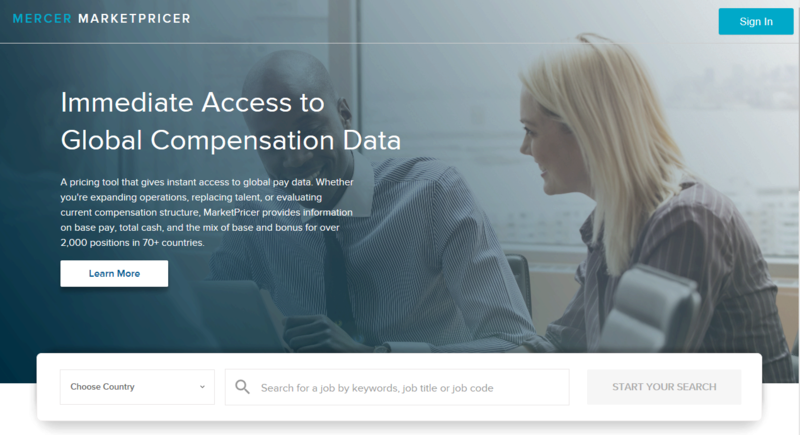 If you are expanding operations, replacing talent, or looking to motivate top performers, immediate access to pay data is a necessity. Now you can get instant access to global pay data — base pay, total cash, and the mix of base and bonus — with MarketPricer, a self-service job pricing tool. At just USD 200 per job, this cost-effective solution allows you to ensure your employees’ salaries are always market competitive. Choose from over 6,600 positions across 97 countries. Ready to get started with MarketPricer? MarketPricer data is sourced from Mercer’s Total Remuneration Surveys (TRS). The same survey methodologies are applied across TRS in all countries, so you have access to consistent data when analyzing positions within a country, region, or even globally. Mercer surveys are designed using the most accurate and up-to-date market data practices. Data is collected from HR professionals at participating organizations and then analyzed for validity, thoroughness, and market representation based on the organization’s size, structure, geographic region, or a combination of these factors. A minimum number of incumbents, organizations, and distinct organizations are required in order to report each data element. If minimums are not met, the market data is suppressed, ensuring you the highest level of data confidentiality. Statistics and market cuts will only be provided in MarketPricer when the data collected meets the following data-masking criteria in terms of the number of organizations reporting data for the job: >= 3 for Mean; >= 4 for Median; >= 5 for 25th/75th percentiles. Countries and market cuts/scopes may vary by job. MarketPricer is updated annually, in the fall, to reflect the latest survey data available. 2018 Total Remuneration Survey data is currently available. 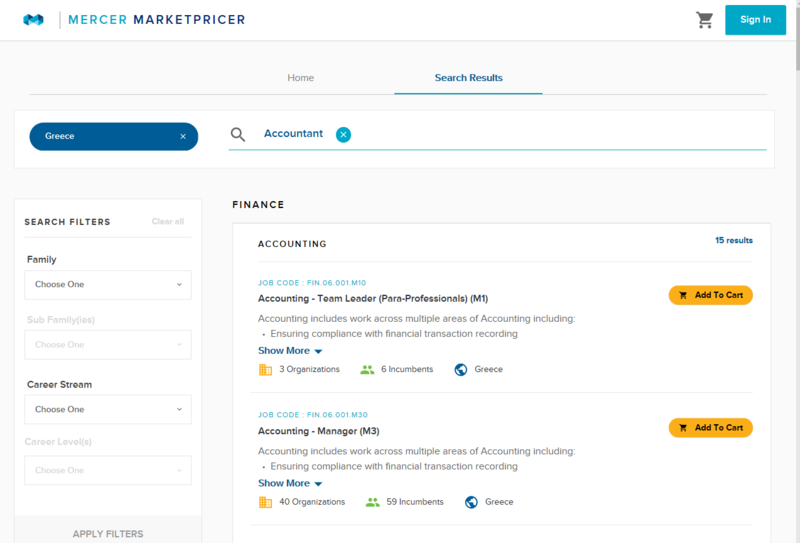 With MarketPricer, get the salary benchmarking data you need at your fingertips in just a few minutes and five simple steps. 1. Choose the country you need data for. 2. Search for a job by keywords, job title, or job code. 3.	Review and filter the positions by job descriptions, adding the best matches to your cart. 4. Create an account (or log into your existing account) and check out. 5. The data is immediately returned! Cut the data real-time within MarketPricer or download and export as an Excel or PDF document. Access MarketPricer to create your account and purchase jobs today. Short DescriptionGet instant access to global pay data with this self-service job pricing tool.